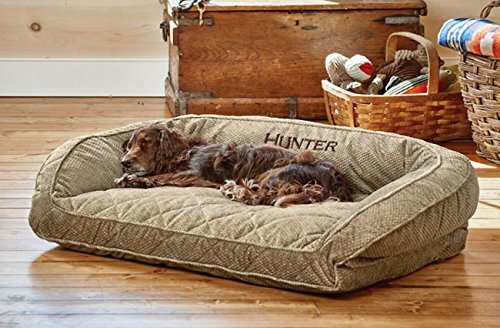 The Orvis Memory Foam Bolster may look like our incredibly popular Deep Dish Dog Bed, but the similarities end there. Underneath the plush microfiber cover is a 4″-thick cushion of supportive memory foam designed specifically for dogs. Memory foam not only supports dog joints and muscles, but also helps maintain your dog’s body temperature for optimum comfort. Beautifully crafted with a streamlined bolster, it’s a design that fits well in any home. 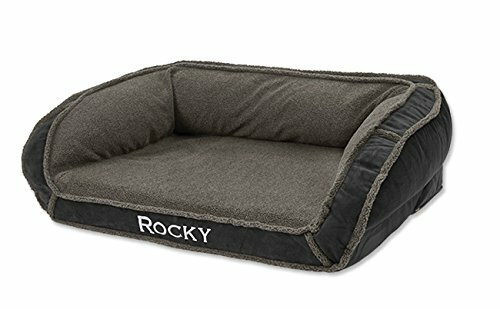 Memory foam dog bed has a water-resistant liner. Cover is removable and washable. Imported.